We love Mexican food around here. In fact, we usually eat taco meat in one form or another at least once a week. 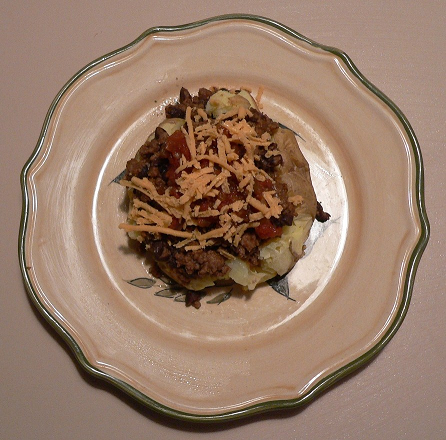 One of my favorite allergen free mexican meal is filling a potato with taco fixings. Not only is this delicious but potatoes are cheap! Taco potatoes really need no recipe but I’ll list the ingredients we use to make ours. You may also enjoy Barbecue Chicken Potato.